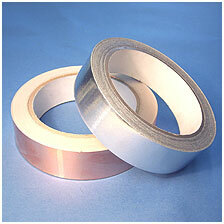 Bondshield Conductive Silicone Adhesives lend themselves to a variety of RFI / EMI shielding and grounding applications. They essentially fall into two groups, conductive flexible adhesives and structural conductive adhesives. 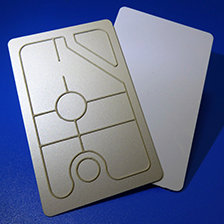 The range of flexible Bondshield Conductive Silicone Adhesives are based mainly on silicone elastomers and are particularly suitable for bonding materials that have differing coefficients of thermal expansion. A typical example of this type of requirement would be the bonding a glass or polycarbonate shielded window into an aluminium bezel or panel aperture. The conductive adhesive secures the window in place but accommodates any movement due to differential thermal expansion/contraction or flexing whilst maintaining a low impedance connection. Our flexible conductive adhesives are also very resistant to vibration, shock and extremes of temperature (thermal shock) whilst providing a high level of environmental sealing. 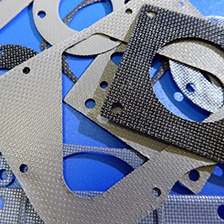 The main conductive filler types along with their key characteristics are shown below. Please note that this is only an approximate guide in this respect as an adhesive should ideally be matched to a particular application in terms of substrate(s) and service conditions. 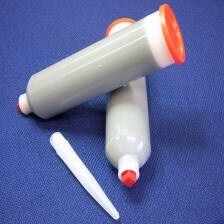 Our Conductive and non-conductive pastes and compounds are available in most common container sizes such as 310cc, 170cc, 55cc, 30cc, 10cc and 4cc cartridges.